An intriguing and useful walking stick with a hardwood crook handle and metal shaft. 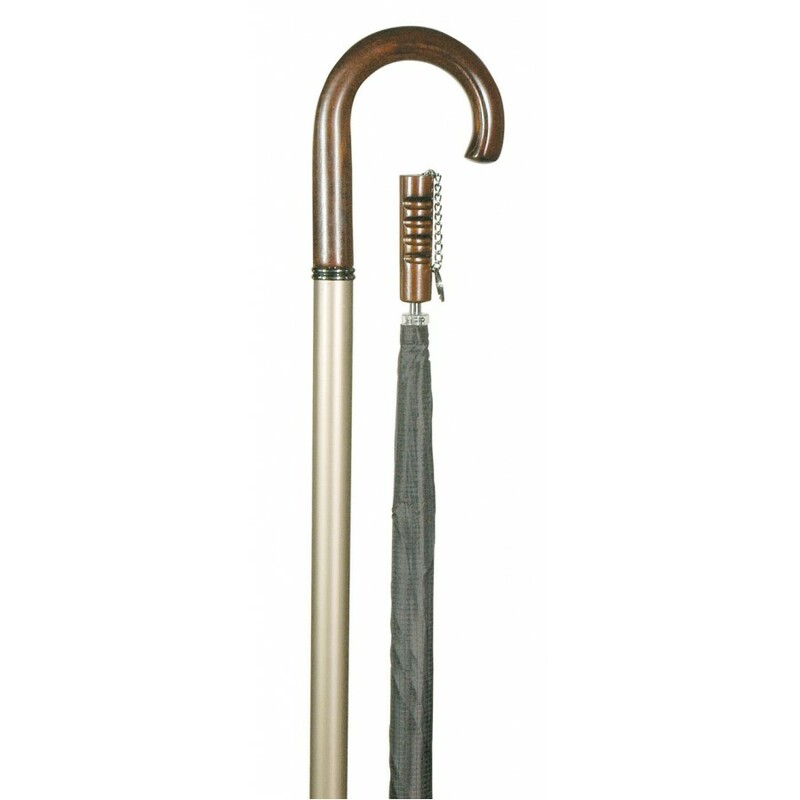 The handle unscrews to reveal a hidden umbrella, with a black canopy and a hardwood handle. Height 92cm.